What are my Rights if I’m Arrested? 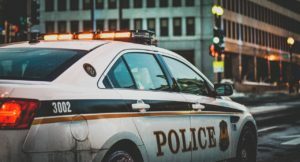 Being placed in handcuffs and hauled into a police station can be an intimidating and humiliating experience, as a criminal defense lawyer Denver CO knows all too well. When officers and detectives pepper defendants with questions they may cave under the pressure and unknowingly say something incriminating. This is a moment when having a trusted criminal defense lawyer in Denver CO at your side is invaluable. The Law Office of Richard J. Banta has been assisting defendants for many years in Denver. If you’ve been placed in handcuffs, the arresting officer may have a warrant for your arrest or believe you have commited a crime. Warrant: A judge may have issued a warrant for your arrest if there is enough evidence. In this case you may already be charged with the crime. Police witness: An officer sees you committing a crime or violating the law. Reasonable suspicion: An officer believes you may have committed a crime. What Happens During the Arrest? At the police station, you can expect to have your fingerprints taken, photograph taken, and procedural documents to be completed including basic information like your name and date of birth. Officers will attempt to question you – you do NOT need to answer their questions without your criminal defense lawyer in Denver CO present. The attorneys of The Law Office of Richard J. Banta understand the tactics officers will attempt to use to get you to confess even if you are not guilty. They will try to poke holes in your story in an effort to get you to inadvertently provide information that could be used against you. The Law Office of Richard J. Banta has been through this time and time again with our clients. Don’t sit in on questioning alone. Call The Law Office of Richard J. Banta today to help. When do I go to Court? Following your arrest, prosecutors will review the case and charges against you. He or she may decide to move forward, change or add charges, or drop the case altogether if there is not evidence. If the case moves forward, you will appear at an arraignment. The judge will read through the charges against and ask if you wish to plead guilty or not guilty. This is also an opportunity to get out of jail while you await trial. You may be able to post bond, which is a monetary guarantee to the court that you will make your appearances. Do I need a Denver Criminal Defense Attorney? The legal system is filled with nuances and exceptions that may benefit your case. Without the expertise of a skilled criminal defense lawyer in Denver CO, you may not be able to take full advantage of historical knowledge. The punishment for the charges you are facing are likely severe. Even misdemeanor crimes may carry heavy fines or probation. Felonies may serve up decades behind bars. These are not situations to be taken lightly, or to be ignored. You don’t have any time to waste. Call a criminal defense lawyer Denver, CO relies on The Law Office of Richard J. Banta now to get started on your defense.